Country Ham N' Eggs offers you the best, traditional American breakfast and lunch entrees you can find in Fort Lauderdale, Florida. Since 2005, we've been serving up heaping portions of delicious homestyle cooking. Whether you're looking to get some takeout, sit down and be waited on, you'll always find the perfect plate to make you happy. 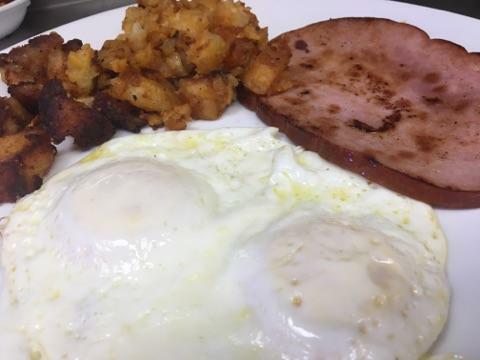 Our restaurant is proud to serve undeniably American dishes like our signature country ham and eggs. With mouthwatering ham and heavenly eggs sitting right in front of you, you won't be able to help but dig in. But we're not a one-trick-pony; our signature pork roll entree features the delectable meat as the star of the plate and will satisfy any appetite. With 28-year veteran chef Gary, our kitchen makes your food fast and just the way you like it. Whether you're a local or a visitor, our staff is happy to get you seated in our dining room. 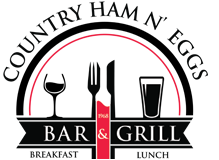 Perfect for friends and family, you'll find our casual venue to be comfortable and relaxing. Whether you're sitting in one of our large private booths or at the bar, the five TVs we have around the restaurant make it easy to keep up on the latest games, scores, weather and news. We have both front and rear parking lots.